Pioneers in the industry, we offer stretch film tape from India. 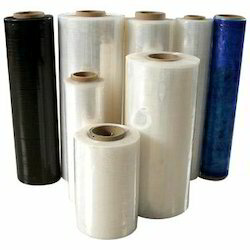 We manufacture Stretch Film Tape made up of top quality plastic. To protect the items from any damage our extremely stretchable plastic films are tear resistant. Featuring strength, cling and clarity our plastic films are available in several colors.